A new wearable device can log the amount of words your child is hearing and speaking so you can track their language development. Address problem areas or just see how learning activities like reading are having an effect. This is a great gadget for parents who want to give their kids a language boost. The company behind The Starling is called VersaMe meaning “talk to me” in Latin and English – and their name perfectly reflects their mission. This wearable is designed to help parents teach their children language skills by giving them a way of seeing their child’s development visually displayed. 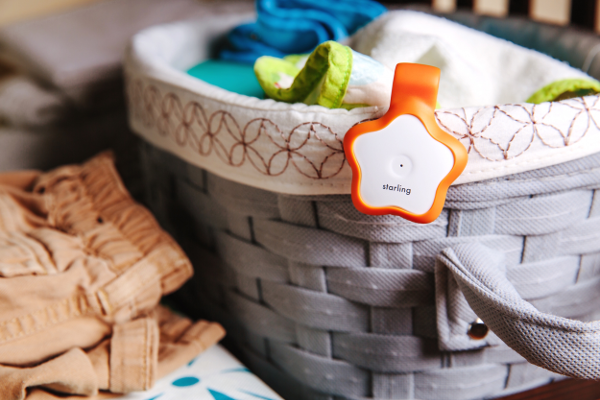 Basically, The Starling clips onto your child’s clothes or somewhere in the nursery and begins to collect data about the words all around. Those your child hears and those they speak. It then links up to your smartphone to deliver analytics in a visual display and suggest fun learning activities relative to your child’s progress. The Starling does not record audio, it doesn’t store recordings, nor does it recognise the meaning of words. These three elements are important because they are designed to give a maximum level of privacy to the user. Basically, because no audio is recorded, no one can listen in on the device and that is a big relief for parents. The very first release of The Starling is due to ship out this April, but you can pre-order one for US$169, plus delivery. Once released, The Starling will be priced at US$249 so that is a big saving for early adopters of this exciting new technology. You can find more modern learning ideas in our 6 Great Apps for Starting School, Preschool or Kinder post. Or you might like this phonetic alphabet book for the littlest of language lovers.